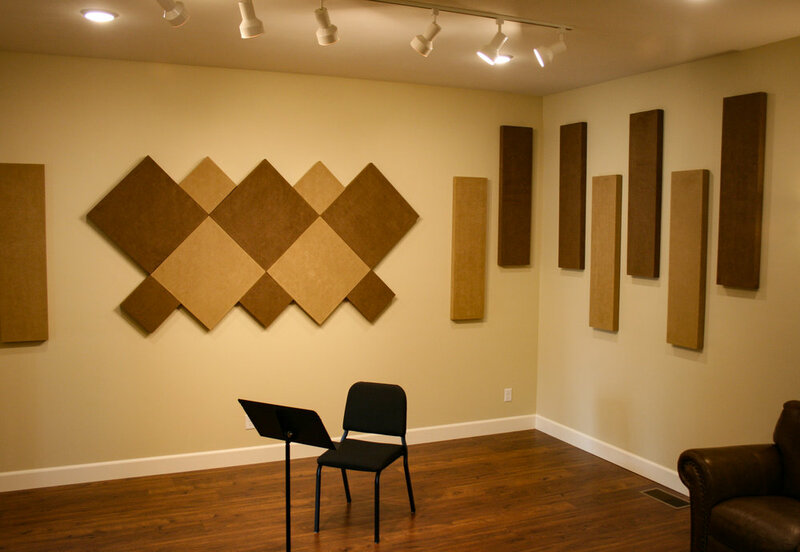 Wheat Waves Recording is a recording studio in Rexburg, Idaho specializing in classical solo and chamber music. The newly-designed space is specifically tailored for musicians looking for a high level of acoustic control. The live room was designed with the Golden Ratio in mind. The proportion of the ten-foot ceiling to the width of the room, is equal to the proportion of the width of the room to the length. This specific ratio is used in acoustic design to even out the frequency response throughout the space. This makes for a very even-sounding recording room.